For some of us, sitting on a beach lounger staring listlessly at the sea just isn't our cup of vacation tea. If you're itching for alpine, adventure and a chilled craft beer it's got to be Colorado. It's a state that holds so many intriguing natural features, not limited to sand dunes, hoodoos, picture-perfect peaks, 10 national parks and 42 state parks. With all this untouched wilderness comes the object of our outdoor fascination: extensive backcountry hut systems. So how about it? 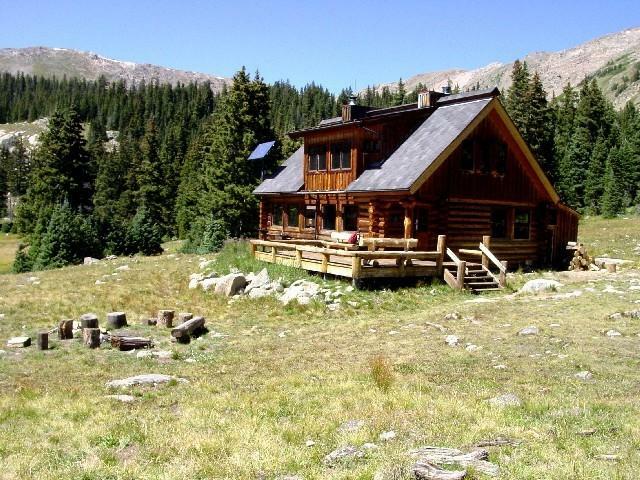 Do you want to pack light and get off the grid on a Colorado hut-cation? Pack proper gear, and wear layered clothing with reflective strips. Bring reliable navigation and communication devices. Cell phones don't always provide thorough enough coverage. Weather changes rapidly in the mountains; days can be blistering hot while others can see hail and snowfall in the alpine. Be prepared for changing conditions and pack additional provisions. Carry rescue equipment and know how to use it. 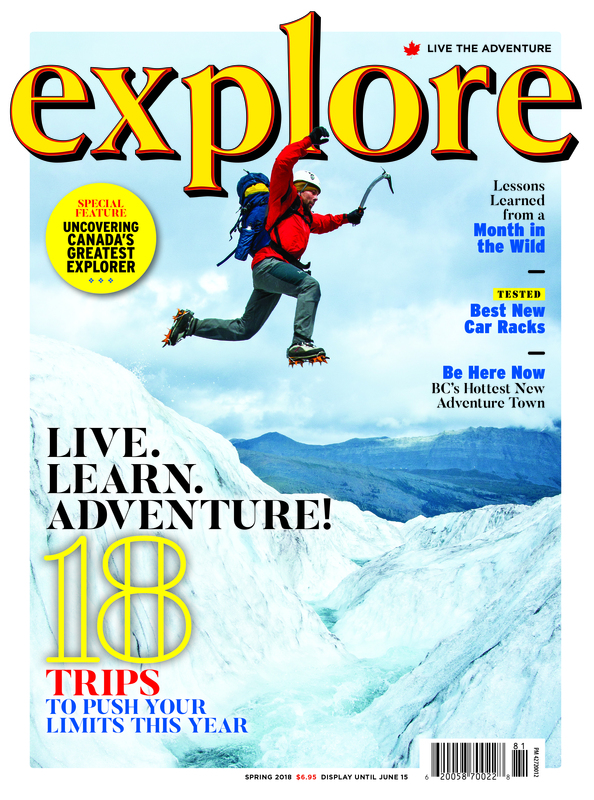 Description: Adventurers can do it all on the San Juan Hut System: hike, bike, ski and snowshoe. The system spans San Juan National Forest, extending from Ouray to Telluride, Durango and hundreds of miles northwest to Moab, Utah. Summer users have access to four huts. Visit all four while hiking the Sneffels Traverse or base yourself at a single hut and make day trip hikes to the 20 nearby peaks. Prefer to peddle? You've come to the right operator; Juan Hut Systems ‘invented’ hut-to-hut mountain biking in the late 80s. There are two long-distance biking packages to choose from. 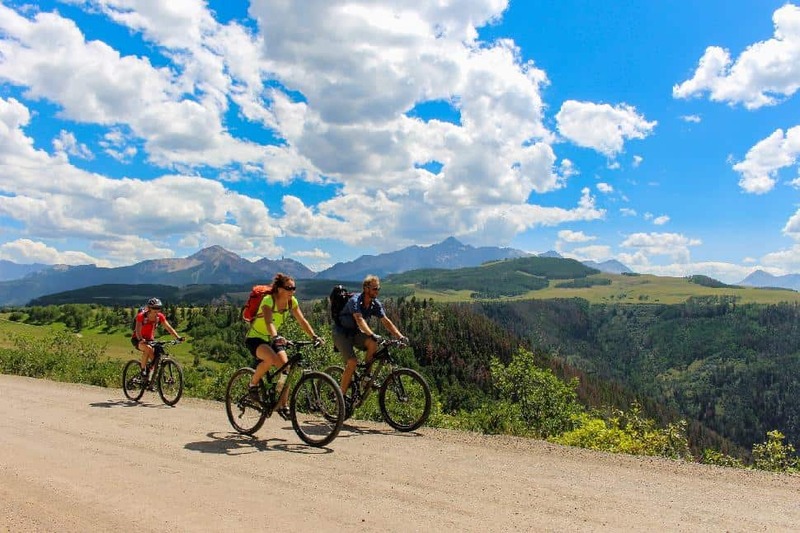 For six glorious nights free riders can rip from Durango to Moab or Telluride to Moab, while those short on time can opt for a shorter four-night itinerary. San Juan Huts offer everything you need, letting you ride swift and light. The route features miles of scenic trails to crush, covering a mix of exciting single track and historic logging, mining and ranching roads. There's no hand-holding along this route; bikers enjoy the freedom of independent exploration. Hut amenities: The four mountain huts (for hikers) sleep eight people each. Users can expect them to be equipped with padded bunks, sleeping bags, a propane cook stove, propane light, wood stove, dry foods, utensils, and cookware. Composting toilets are located nearby. Cost per night: Most cost $33/person per night while children under 12 are half-price. Some huts in the system are privately owned and thus prices vary; see website. 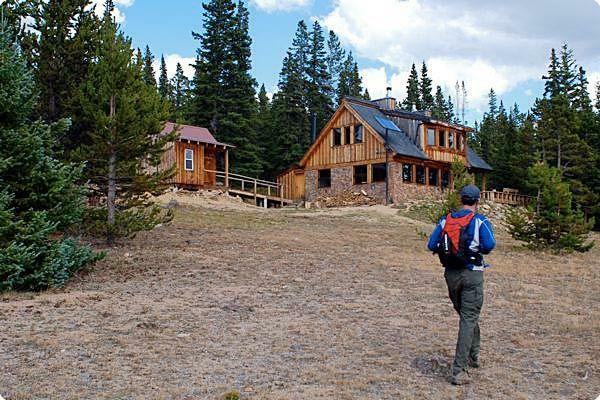 Description: Colorado is home to one of the most extensive backcountry hut systems in North America: the 10th Mountain Division Hut System. The system was the vision of Fritz Benedict who sought to connect Aspen and Vail, opening the area to backcountry adventure in winter. Benedict was inspired by Haute Route; Europe's original alpine traverse. The system includes huts named after members of the US Army’s famed 10th Mountain Division that trained in the area. Hut amenities: Most of the huts in the system sleep 16 people between a handful of rooms. Others sleep as few as three and as many as 20. Hikers can expect to find the huts equipped with wood burning stoves, firewood, fire starting materials, propane burners, solar panel lighting, utensils, toilet paper, mattresses and pillows. Outhouses are located adjacent to most huts. 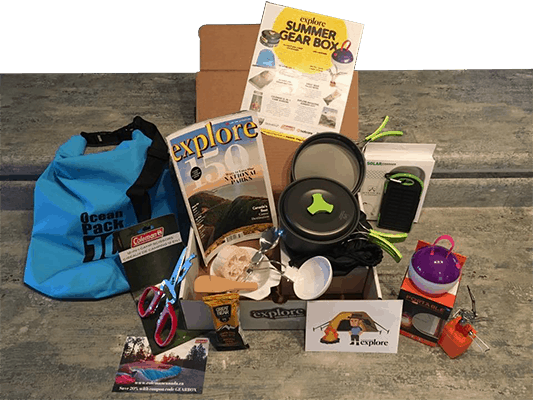 Users are responsible for filtering and purifying water, and packing their own sleeping bag. Notes: Waivers must be signed and submitted by each participant; guides are available to assist with trip planning or fully outfit hikers; no dogs allowed. Description: The fledgling Grand Huts Association is a not-for-profit whose enthusiastic volunteers and community supporters envision an eco-friendly hut system. The proposed route will link Berthoud Pass to Grand Lake. Broome Hut is the first of nine backcountry huts planned to open along the route. It is located just 1.6-km from the trailhead but it's a calf burning 250-m gain in elevation. 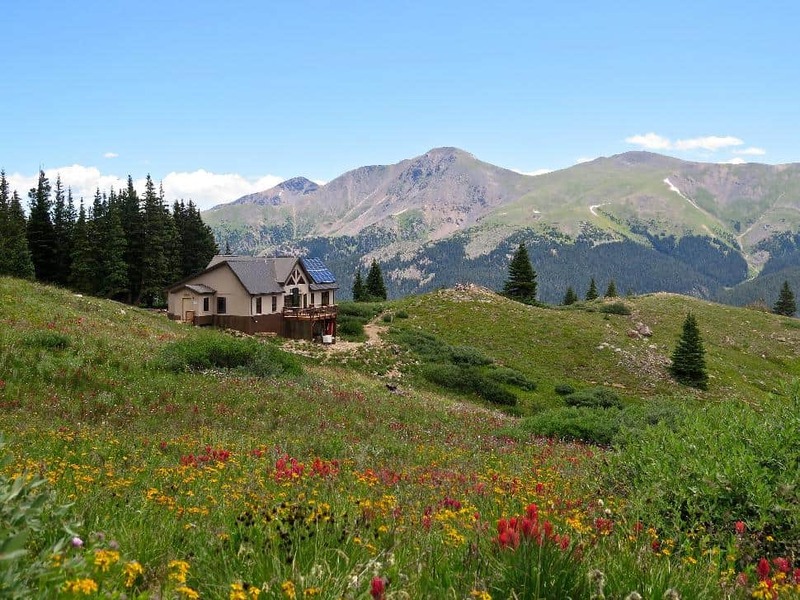 Use Broome Hut as your base for hiking the scenic - and dizzying - heights of Berthoud Pass. Hut amenities: Broome Hut sleeps 16 people between two rooms. Users can expect to find a pellet stove, pellets, indoor composting toilets, bunks, mattresses, pillows, a kitchen with two propane stoves, cookware and utensils. Notes: No dogs are allowed inside the hut; users are required to purify the water, pack in/pack out. Description: Creede Mountain Huts features two structures located in the San Juan Mountains, perfect for a rustic vacation. 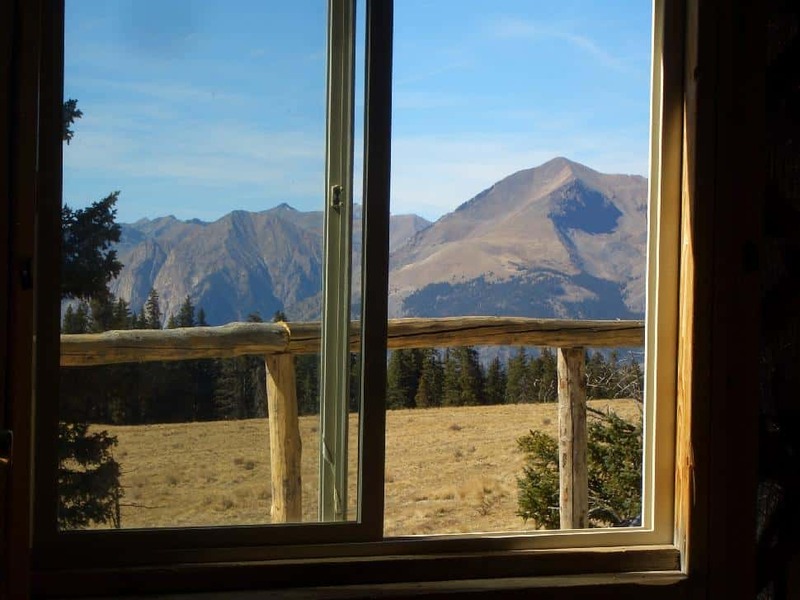 Both huts are shrouded in wilderness and offer stunning views overlooking the Rio Grande River. In winter the area boasts a brag-worthy 12.7 metres of snowfall. Summer brings miles of backcountry hiking and mountain biking trails. Free riders will be psyched about Deep Creek Trail's 915 metres of downhill descent stretched across 21 kilometres. Hut Amenities: Lime Creek Yurt is basic: four single beds with foam sleeping pads. Fisher Mountain Hut sleeps ten in two bedrooms containing seven beds (three doubles, three singles and a sofabed). Both lodging options offer a kitchen with utensils, cookware and a propane cook-stove. 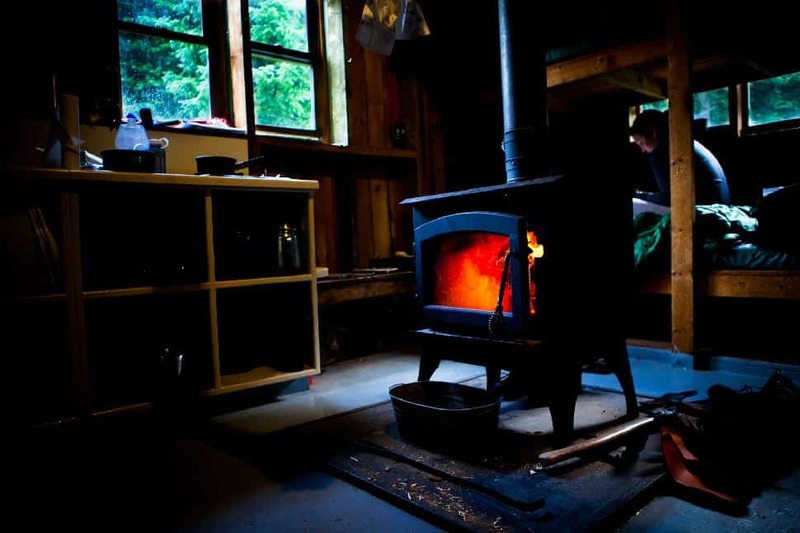 There are detached composting toilets and wood stoves with firewood provided. There is no drinking water in summer so you must bring your own, nor is there electricity. Notes: In summer users can drive within a couple hundred feet of the hut. Bring your own sleeping bags; no pets allowed. Cost per night: Book the entire yurt for $110 per night for the first two nights, and $80/night thereafter. 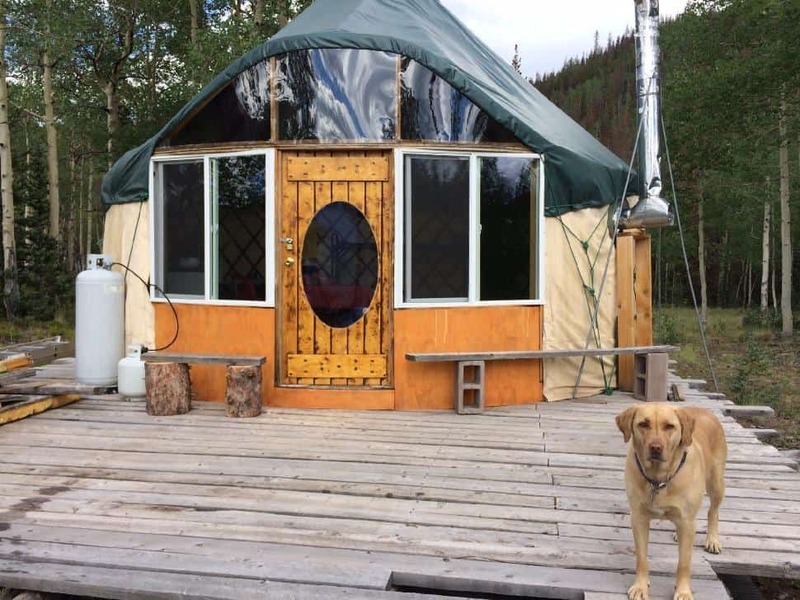 Summer rates of $20 per person per night are available at the Colorado Trail Friends Yurt. Description: Hinsdale Haute Route is Colorado's highest hut system consisting of two yurts, located in the San Juan Mountains, along the Continental Divide above Lake City. Accommodations are basic, serving function over form. But do you really care with mountains out the front door? Hut amenities: Both huts sleep eight, equipped with rudimentary bunks, a table, chairs, propane stove, utensils, and a wash basin. 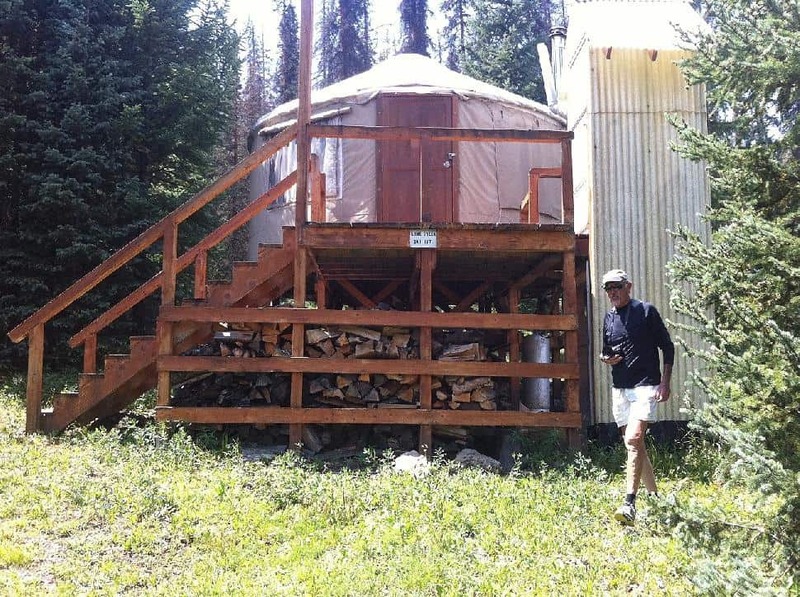 Notes: Colorado Friends Trail Yurt users will find a freshwater spring near the hut. Wilson Hut summer users will need to haul water in with them. Good news for dog lovers, Fido can tag along. Opus HutColorado is also home to individual huts not associated with a hut system, including the Opus Hut. Opus is a high alpine backcountry lodge nestled on the southern face of 13,661-foot Lookout Peak in the Northern San Juan Mountains. It operates as a B&B in the summer, complete with a hut butler. 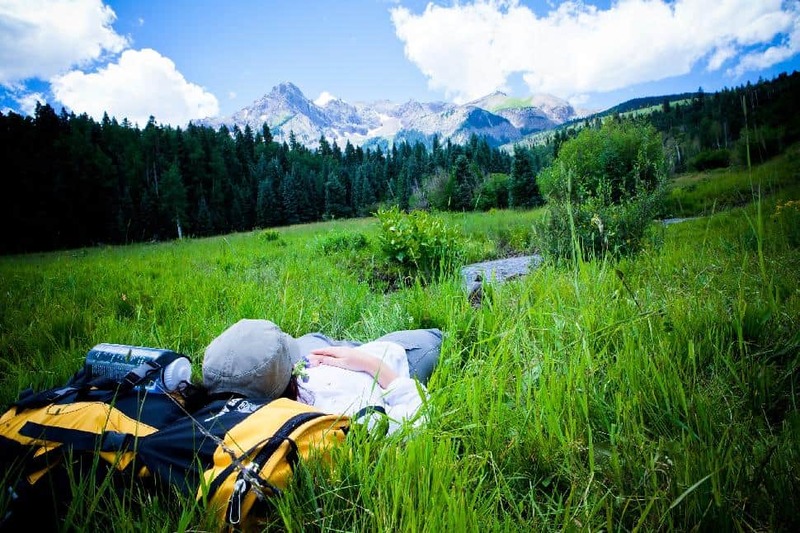 Ready to plan a wilderness getaway to Colorado? 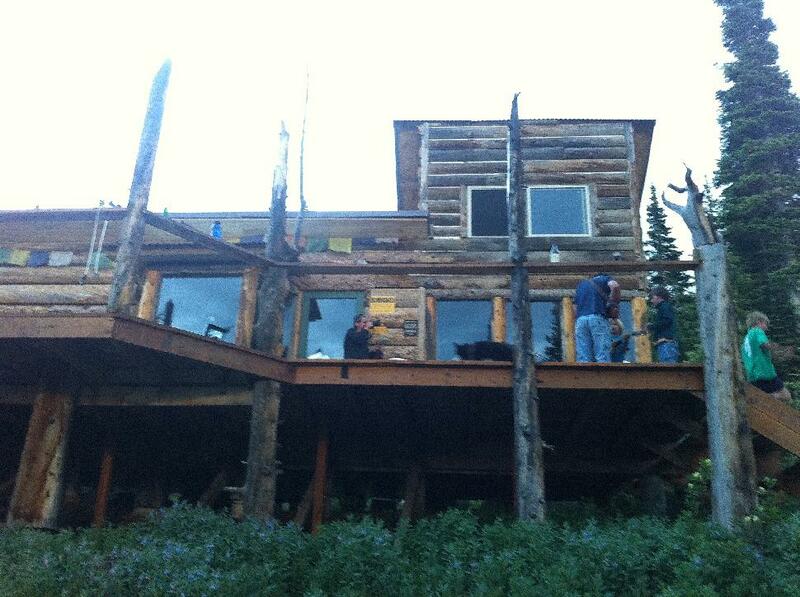 A summertime foray into the mountains of Colorado merges hiking, horsemanship and a high-altitude housecat.